I’m really excited about the reaction we are receiving to the podcast! We’ve had some great emails and Tweets and Facebook mentions from coaches that are enjoying the interviews and training sessions. 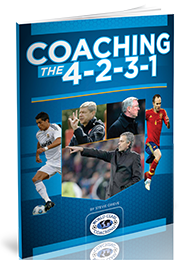 Grant77 said ‘A quality coaching education podcast’ – Thanks Grant! Briarwood said ‘ Really enjoying the practical examples of coaching sessions to work on various techniques and tactics’ – Thanks Briarwood! Cspalding said ‘An informative offering. This Podcast offers great insight on techniques for coaching soccer that can be used at many different levels, from coaches that are new, to coaches that have been working in the field that are looking for a fresh take. The podcast offers valuable insight on not just how to work on specific tactics and skill sets, but why you need to work on them. The positive approach is refreshing and the information is concise. What a great piece for any coach trying to improve! Two thumbs up’ – Thanks Cspalding! Thanks to all of the coaches who have taken time to give us a review or send us their comments. This week we talk with Stevie Grieve. Stevie is the Head of Coach Education for a Football School in India. There he is responsible for designing and implementing a coaching education program for more than 100 coaches. He is also the Head of Youth Development and Technical Director for Garhwal FC where he has developed a curriculum and weekly framework for teams from U9 to U19. He also regularly coaches training sessions across all of these age groups. Stevie has become a true student of soccer tactics. 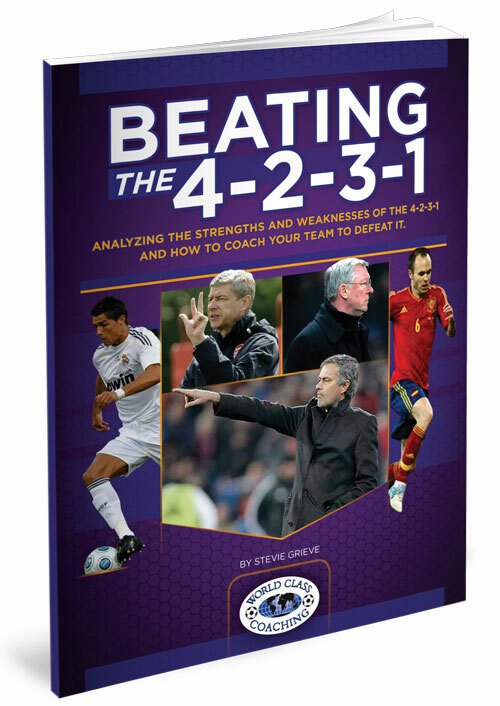 He’s written 10 tactical books with a focus on the modern evolution of the 4-3-3 into the 4-2-3-1. He’s a regular contributor of article to the WORLD CLASS COACHING magazine. 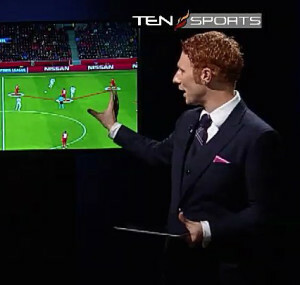 The articles focus on tactics that are being used by the top teams from around the world. He also uses these skills as a TV analyst for Champions League and Europa League games as well as his own tactical show that is broadcast across South Asia call ‘The MindGame’ for Ten Sports in India. We talk about how the trends and tactics at the highest level of the game affect the grassroots development of soccer players in youth clubs. Is there a connection between what’s happening at the top level and the instruction players are receiving at the club and in grassroots soccer? Do you see this just with youth clubs that are attached profession organizations? Do you think this is beneficial to overall player development? We all want to see a creative, skillfully played game. Do you think our current youth development model and tactical trend will encourage this? Can we create these types of players and teams or does it need to happen organically? If we can create them, How? If we can’t, what kind of environment can we create that will nurture and encourage them to develop naturally? In general do you see that we are moving forward or backward in our efforts to raise the level of play globally? Do you think we’ll begin to see Indian players on the rosters of major clubs around the world? Are there three things that you think every youth coach should be doing with their players to give us the best chance to develop players that can excel in the modern game? 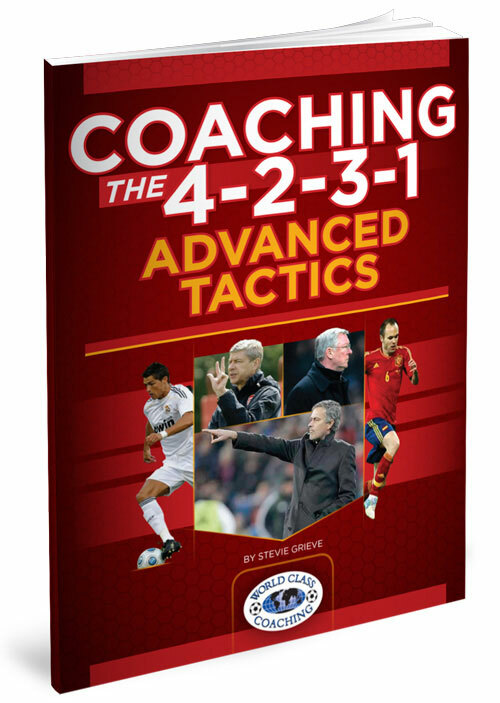 You can follow Stevie on Twitter @Steviegrieve and see his weekly blog post on www.CoachingSoccerTactics.com. In next week’s episode I’m going to break down a number of different ways to use the most popular possession game used by coaches at every level. It’s one we all use but I usually see it done only one way when there are a number of different ways to format the game depending on what you want to achieve. Hi Tom, it seems that when i download these podcasts, they are saved as .mp3 files, but of VLC media type, which can’t be played via windows media. Is there any chance of making the downloads available to play via windows media? I was able to download the latest episode and play it through the Windows Media Player by dragging and dropping it there. I’m not sure why it’s not working for you.